Blizzard just accidentally showed off a bunch of new Halloween skins for Overwatch. The ninth issue of the Overwatch comic was supposed to launch next Wednesday, according to Comixology , but the Spanish version of the comic got leaked. Smart fans have already translated the whole thing, which you can find right here. It’s a great comic that is actually worth a read even without all of the skin reveals. Reinhardt tells the tale of “Junkenstein,” who one day builds a Roadhog Frankenstein – you have to read it to really understand. There’s no official announcement by Blizzard as to when these skins are coming out, but Halloween is only a few weeks away. 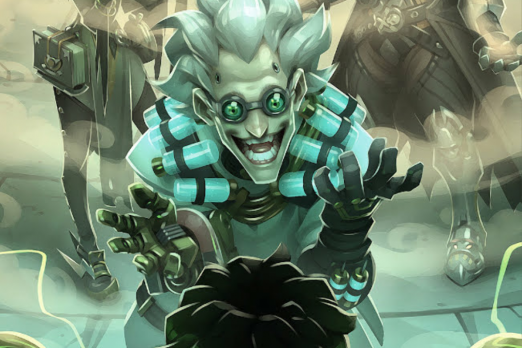 Overwatch should be getting much spookier in the coming weeks.